This news story was published on September 17, 2015. 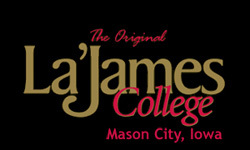 MASON CITY – In celebration of Manufacturing Day 2015, North Iowa Area Community College (NIACC) will open its doors on October 1st to area high school students and hundreds of community members as part of an effort to change people’s perceptions about today’s manufacturing environment and draw attention to the outstanding opportunities that a career in manufacturing can provide. NIACC will host area high school students on the NIACC campus where they will hear from keynote speakers Leisa Fox, Vice President of QPS Employment Services; David Zrostlik, President of Stellar Industries; and Bill O’Leary, HR Manager of Iowa Mold and Tool. They will also tour NIACC’s advanced manufacturing programs, and take a video tour of manufacturing and local manufacturing businesses. Students will take the information gained at NIACC with them as they tour an area advanced manufacturing facility. To register, students should contact their high school counselor. This event is sponsored by NIACC Career Connections. From 4pm – 7pm, NIACC will host a MFG Day Open House and Career Fair in the Murphy Manufacturing Technology Building. The public is encouraged to attend. 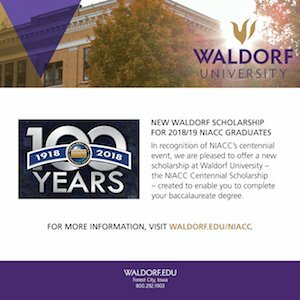 Attendees will have the opportunity to apply for one $2,000 NIACC scholarship which will be awarded to a new student in one of three advanced manufacturing programs: tool & die, welding or industrial technology. There will also be 18 manufacturers on site, ready to recruit new employees. 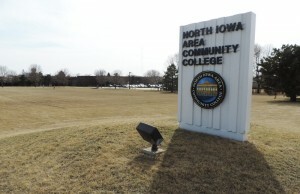 Tours will be given of NIACC’s state-of-the-art industrial technology facilities. There will also be a virtual welding competition, free walking tacos and prizes. Manufacturing Day is an annual national event executed at the local level supported by thousands of manufacturers as they host students, teachers, parents, job seekers and other local community members at open houses, plant tours and presentations designed to showcase modern manufacturing technology and careers. Manufacturing Day is co-produced by the Fabricators & Manufacturers Association, International (FMA); the National Association of Manufacturers (NAM); the Manufacturing Institute (MI); the National Institute of Standards and Technology’s (NIST) Hollings Manufacturing Extension Partnership (MEP); and guest producer Industrial Strength Marketing (ISM). Media partners include the Edge Factor and the Science Channel and the national movie partner is American Made Movie.